It’s baaaack! HGTV’s reality competition show for decorators who want to win their own show on the network starts Season 7 Tuesday night. Noticeably absent, however, will be the popular HGTV personality Candice Olson, who was one of the judges for the past couple of seasons. As much as I love her on her own show, she never seemed totally comfortable in this format–kind of like when Ellen was on American Idol, right? And she was absent a lot because of her busy schedule. So maybe she bowed out because of time constraints. But I’m kind of disappointed that she won’t be around for this one. Will you miss her? Vern Yip and Genevieve Gorder will be back behind the judges’ table, however. There will be a series of guest judges on the show instead of a permanent third judge, which could be fun (that’s Daisy Fuentes on the left in the photo above). Meg Caswell won last year, and she now has her own show called Great Rooms. The winner from Season 5 is still on the air, too. 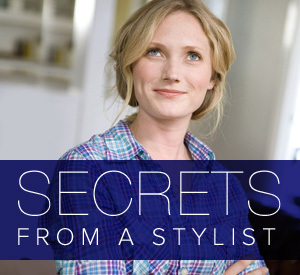 Emily Henderson is the host of both Secrets from a Stylist and the new show that I’m loving, HGTV on the Set. 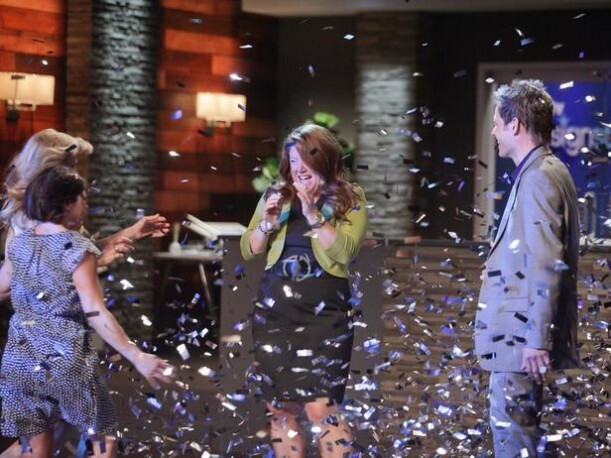 Are you excited about a new season of Design Star? Will you be watching? The first episode airs Tuesday night, May 29, at 9/8c. You can read all about the finalists and see their portfolios on HGTV.com. What ever happened to Myles of Style? I think she’s still my fave winner. Although Antonio’s a close second. Yuki is from my town, Bay St. Louis, Mississippi!!! GO YUKI!!! I wasn’t aware of the new show…, I sure will tune in!! Funny, I forgot about The Antonio Project!! i’m totally watching! have you seen the new hgtv show “the white room challenge?” i was prepared to love it…but i HATE it! why do they have to do such silly challenges?? No, I haven’t seen that one. I’ll have to set my DVR–thanks, Marie! I agree – I think it’s weird and so not realistic or helpful at all! David is everywhere lately. I love Candice but didn’t care for her on design star. She seemed a little cold…not nearly as fun as on her own show. Love emily. She’s so much fun. I just started reading her blog. She’s a hoot. So much personality. I wish more of the previous winners were on tv. It feels like American Idol…you think…what ever happened to….what’s her name? I’m glad David is the host. I will watch it even without Candice. YAY! Thank you so much for sharing, Julia. I didn’t realize it starts again so soon. 🙂 Without being too catty, I want to say that I am very happy to see David in the hosting role. Tanika seemed like she was trying too hard, and it was just an extra person. I hope the competition is better this year. They had some good designers last time, but I don’t know if Meg was the best. I always DVR this show, even if I don’t have time to watch it live. I love Candace’s personality but will watch the show even without her. . I did buy one of Candace’s decorating guides and found very litte that resonated with me. Yet somehow I find her fascinating on cable. The book was great for revealing her early life and career path. She was quite an athlete at one point. My husband and I are both hooked on this show, and look forward to it every year! Last year we were in the process of moving across country for his new job, and he was already there, so we literally watched episodes online together while on the phone so we could talk about it! This year, it is coming out on his birthday, which is really exciting! And to be honest, I’m glad Candice is gone this season, last year was such a rip off because she was never there, and I kept expecting to see her…. At least now I can’t be disappointed because she isn’t there! I’m glad David is back, though… and I love Genevive and Vern (ever since the TLC days!!). Guess what?!?! The designer on Elbow Room, Christi Holcombe was a second grade student of mine 🙂 and she was just as beautiful and talented then as she is now. Very smart and has been a designer in Atlanta until landing the HGTV spot. Yes, we are very proud of her and for her!!! Yes, I’m disappointed that Candice isn’t there but I, like you, never felt she was comfortable in the position. No kidding? How fun that you had her as a student all those years ago! I wish they had replaced Genevieve as well. She is not one of my favorite hosts or decorators. I mean if she can be on this show……where is Laurie from Trading Spaces? She needs a show! I always liked Laurie on Trading Spaces. I know she wrote a book but otherwise I haven’t heard much about her since the show ended. I’d love to see her back on the air! I remember that she always used golds & yellows in her rooms. I think she’s now home with children. I love Design star! (And HGTV in general) Most people find that weird because I’m only 11. I’m going to miss Tanika though. She was a great host. David isn’t bad though. To be honest, I really don’t like Candice. Shes a great designer, but I often don’t like her personality. And her no shows- while not her fault- were pretty annoying sometimes too. Happy Memorial Day Julia! I love your new profile picture. You look very beautiful. I don’t watch “Design Star”, but occasionally I will watch a few episodes here and there to see what’s going on, on the show. I did not like last season at all (nor the one before), so I’m not exactly excited about the new one. I didn’t like Tanika’s hosting style, admittedly because in part because I still miss Clive. I’m very conflicted about Meg–in a shallow way I was so happy that a plus-size woman won & then moved on to her own show. But I don’t find her designs to be at all interesting, find her voice annoying, and wish that they would actually hire a clothing stylist that knows how to dress a plus-size woman with her shape because Oy! I didn’t like Emily either. I wish Kim Myles show was still around though. I was excited about the new series ‘White Room Challenge’ but other than Jamie Durie it is absolutely horrible. Have you seen “home made simple” on Oxygen with Paige Davis? Its on Saturday mornings. I didn’t know that Paige had a show on Oxygen, so I’ll have to look for that. Thanks, Kasey! I still miss Clive!!! What happened there =( Of course, I still miss Designed to Sell and Get it Sold too…. I miss Clive, too. He always made the show a lot of fun! Thrilled to see Candace go! She was so stiff and unfriendly. David will be a huge upgrade from Tanika. He is friendly, yet professional. A perfect balance. I haven’t watched HGTV in about a year, but I may have to check it out. Design Star is a show I love to hate! And, I love Emily–usually just read her blog, but I should check out season two of Secrets and her new show. I second the vote about Clive! He was a awesome host. Hoping they will be able to decorate how they wish instead of having to decorate a whole room around a flower or something silly like they did a couple seasons ago. That was terrible. Liking this season so far. Clive was entirely out of place hosting on HGTV. He would be a great game show host, following in the footsteps of Richard Dawson, perhaps, but I don’t want to watch any show on HGTV whose host has no design or contracting experience whatsoever. That is also why Tanika Ray tanked so badly as host of Design Star. What is the point of hiring someone as a host on HGTV whose talents are confined to trying to look pretty and reading cue cards? Tanika served her purpose. She was used to offset suspicions that HGTV has very little use of brown skin. Allegations of racism arose after the treatment of one Design Star contestant and Tanika was brought in to prove that HGTV, though pretty thin on minority presence, is not racist. Design Star is simply not as good as it was 4-5 seasons ago. David is way too woman-like and now all of the judges are losing their humorous candor and becoming too “nicey-nice” (especially Vern). When they smile they all look so phoney. Bring Clive back. Really…what is the big deal of winning Design Star anyway. I mean, when do you ever see their shows? I only see House Hunters and House Hunters International all the time. That Myles lady was horrid, and so is Meg (pig lady). David is too nauseating to watch much anymore, and Antonio is nothing but a pompous door knob. Reversing the “racial card” is too apparent (3 of the last 4 contestants are black), except that they truly are good designers. Bring Clive back. Who was Tanika Ray anyway? What is her claim to fame? My opinion only, but David was the very best Design Star and I am very glad to see him take the place of Tanika Ray. What did she have to do with that show, I mean who is she? I love to watch DS but really most of the other winners have been sort of ho-hum. Now, as for Candice, she is without a doubt the best designer I’ve ever seen on HGTV. She does high quality design and work. When she was on Design Star she did not seem to fit in. Once again my opinion but Vern and Genevieve appear to be a “click”. It looked to me as if the two of them were cold toward Candice. The show belongs to them and there is no need for a third judge. Genevieve does seem to be dressing much better this season. I often wondered how she could design for someone when she couldn’t dress herself in a more flattering manner. I love Design Star, but it’s not the same w/out Candice Olson. She’s my favorite designer…she has such impeccable taste and design style. I will miss her…she was the reason I tuned in to begin with. Can’t wait for new episodes of C. Olson. I have always enjoyed Design Star. Vern Yip, David and Candice are favorites. But Genevieve should go away. When she told Hilari that there is a time and place for personal fun, I laughed. Isn’t she the so-called designer that is constantly giggling and flirting like a teenager? How dare she say that to Hilari. Of course, she always had something to say about her. I thought Hilari was natural and funny. I would watch a show she hosted. Genevieve is an idiot–and a phony one at that. Her smile is sooooooo fake; “hello designers” fake smile, fake smile. Gag me! Can’t stand the woman. And I don’t watch shows that she hosts because she acts like a fool. She is not professional at all. Can’t stand Vern Yip – wish they’d replace him – he acts too smug and superior and other than this Design Star show what else has he done lately that’s been of any real use? Where is Antonio????? Did he decide to leave on his own or what? He is a breath of fresh air in the design world. Seriously, bring him back HGTV!!! Sorry to see Candace go ~ ~ ~ they need to get rid of Gen. She used to be one of my favs on Trading Spaces, but she seems so phony, stuffy, & condescending to the designers now. She talks so phony during the judging; it’s sad how I went from loving a young, fun, & hip young designer to hating this old, worn-out, has-been. Even her designs are boring. Where are Candace ‘s new episodes? I can’t believe hgtv has stopped carrying her new shows. I am tired of only reruns. And at least they could bring back Divine Design to vary it up. I’d like to know that, too. Seems like a long time since we’ve seen that show! Candice Olson she is hgtv when it comes to decorating. Candice I hope I come back to the show. Everyone does good work but your work to me is just out of this world even my sister miss u so much. My family is praying that u come back. Candice please come back please???????? Yeah I totally love Candice but I also love Sabrina. As I was reading, a lot of former shows were mentioned that I miss as well and I always wondered why these ( at least past if not current) shows are never aired anymore but just a few are ran over and over again. In the day and age of DVR I would love the opportunity to record more shows. To be perfectly honest I never watch live tv and HGTV makes up a good 75% of what I do watch. If my past favorite shows were still aired I would be recording those reruns as well and would be watching 90% HGTV. Hey maybe they should give me the dream home just for being #1 fan. Right! So does anyone know the answer to why only a few shows are aired over and over each day? I mean the old shows are already in the can so it can’t be about money right?